Masters swimming workouts #12- change leader for open water. Why is changing leader in swimming WEST so important? Before we start: 3 tips for swapping leader between swimmers in open water and when practicing in the pool. 1. Pulse down- means, we need to glide as much as possible, head down, count strokes a lap before, and only when our pulse is down, start passing the swimmer. 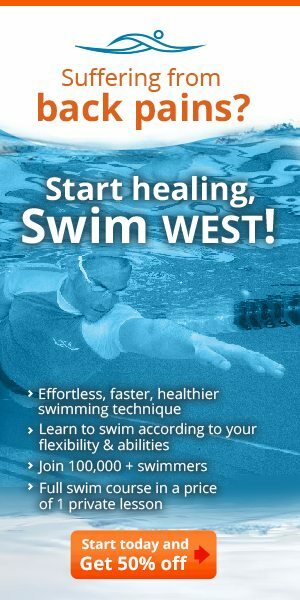 **when learning how to swim in open water it is important to swim exactly like practicing in the pool. 3. After passing, glide- glide and count strokes, some swimmers forget they have to cool down a little (don’t think about escaping the swimmer). **The pulse goes high if you want it or not but the question is how high? 2 6X100 freestyle 15 seconds rest after each 100. First lap 85% second lap 65% reduce 4 strokes and stay in the same number of strokes as the 2nd lap. *Your goal is to elongate your muscles after shortening it in the first lap. 3 4X100 switch leader in the third lap. your goal is to loosen your body and glide as much as possible before speeding up and passing. *3rd set with buoy and paddles. 6 3X200 increasing pace This time the faster swimmer is 2nd and he can pass when ever he wants, your goal is to increase pace as a pairs in each 200 m.